Darin Pollard has distinguished himself while serving as the St Francis Xavier Elementary School Principal by providing an excellent and effective level of liaison activity and coordination between the members of this Council and the Parish School. 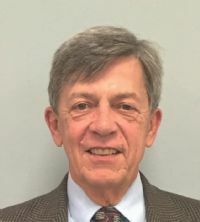 He is the primary individual responsible for establishing the Council’s “Student of the Month” program and continues to provide his leadership as Coordinator of the student awards program that has evolved. He willingly provides his talented MC services for Council events when called upon to do so and is readily willing to provide his time and talents for all our primary Council activities. He also volunteers as a Eucharistic Minister and Lector for both Parish and School Masses. He is a 3rd Degree member Knight of our Council who attends all Council Business meetings on a regular basis. Congratulations to Darin Pollard on being selected as Council Knight of the Month for January 2019. Knight of the Month for June 2018 is hereby awarded to Fr. Joseph Miller in appreciation for the spiritual leadership and fraternal support he has given to the members of Council 15126 while serving as our Chaplain during the past year. He is a 4th Degree member Knight and as Pastor of the Parish has been a very effective spiritual leader for our entire congregation. While experiencing some serious personal health issues, he continued to be an active brother Knight participating fully in all our monthly business meetings by delivering messages that challenged each of us to grow in our faith and to become more involved as member Knights. Through his loyal support of this Council, Fr. Joe has helped to create meaningful improvements in both the fraternal and social interactions that we have experienced as member Knights. This Council sincerely thanks you for your dedicated and selfless service and for sharing so much of yourself with our Parish and the Knights of Columbus. God is truly good to share Fr. Joseph Miller with us. Jean Paul has distinguished himself by volunteering many hours as an Instructional Technology consultant for SFX School. He recently assisted with the upgrading of SFX School teaching staff computers and the repurposing of their used computers for donation and shipping to Lycee Siama Elementary School in the Democratic Republic of Congo in Africa. He recently made program presentations to a Parish Lenten Soup Supper and an Interfaith Alliance for Immigrants community program. 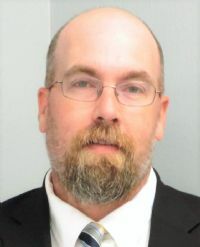 He actively participated in the SFX Knights of Columbus Parish Center Technology upgrade project committee serving as the network installer and network administrator. He is a current member of the SFX Parish Council and along with wife Mijo are involved as members of the SFX Mr. and Mrs. Club. He is a 4th Degree Member of St Joseph General Assembly 569 and serves as the Council 15126 Outside Guard. Congratulations Jean Paul on selection as the Council 15126 May 2018 Knight of the Month. Mark Werner has especially distinguished himself this past month with his work as a Knight’s committee volunteer on the Parish Center Technology Project by assisting the electrical contractor with the initial installation of additional electrical power circuits, by his work during the removal of the old speakers and installation and wiring of the new ceiling speakers, and during the installation of wall mounted cabinet racks and Internet system cabling. His team co-workers recognized him as truly an enjoyable person to work with on this project. The volunteer hours that he devoted to this project saved the Parish a significant amount of money on the overall project costs. His unselfish efforts on this project were directed toward providing a better meeting space for our Council and the entire Parish community. He is a 3rd Degree member Knight of our Council who attends all Council Business meetings on a regular basis. He volunteers many personal hours for the betterment of our Council and the Parish. He performs as a Parish Mass Server on many occasions and is a regular weekly volunteer for the St Francis Xavier House of Bread. He is truly an “Unassuming Jewel of the Parish” that needs to be recognized for his productive efforts. Congratulations to Mark Werner on being selected as Council Knight of the Month for April 2018. John Morin is the recipient of Council 15126 Knight of the Month for Marsh 2018. 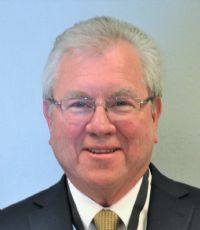 He achieved the Third-Degree Knight level and serves as the Council’s 2-Year Trustee. During the past year he has stepped up his game as a member of this Council. He is now a volunteer member for several activities and committees. He is a Parish Hospitality Minister and serves on the Council Admissions Degree induction team. He has become a valued member of the council. He volunteers on a regular basis within the community at Mosaic Hospital. Congratulations to John Morin. John Bitunjac holds the office of Council Advocate and participates regularly in all council events (Faith in Action, Walk for Life, Tootsie Roll drive, parish dinners etc. He is Youth Services Director, and as such is the coordinator of the Basketball, Essay, and Alcohol & Drug awareness Poster Contests which this month have all been successfully completed for this year. He was the Director of the recent District #2 Knights of Columbus Basketball Free Throw Competition and accompanied the category winners to the Regional Competition in Kansas City. He is a Mass Server and a Eucharistic Minister. He is Head of the Parish Building and Grounds Committee and dedicates many personal hours to parish facility maintenance. He is a member of St Joseph 4th Degree General Assembly 569 and an Honor Guard member. He serves as a SFX Elementary School substitute teacher and as a Marriage Preparation - Lead Couple Team along with his wife Nyla. He recently donated a personally handcrafted wood and glass display case for use as the Council awards and mementos display cabinet in the Parish Center. John Bitunjac is hereby awarded the Council 15126 Knight of The Month for February 2018. Knight of the Month Award is presented to Fr. Ron Will in appreciation for the spiritual leadership he has given to all members of this council. Fr. Ron has served as Chaplain since the establishment of our Council in August of 2010 and is a 4th Degree member Knight. As Pastor of the Parish, during the months of March and April, Fr. Ron was the spiritual leader of our entire parish for the Lenten and Easter celebrations. He has been an active Knight participant during all of our monthly business meetings by delivering to the council membership a spiritual message that challenges each of us to be a better version of our self. Fr. Ron has asked us to reach out into society and to look outside the box for the bigger picture of what God is calling each of us to do and then to have a personal relationship with Christ in all of our works and actions. Through his active support of this Council, Fr Ron has made a significant impact on the member Knights. We sincerely thank you for your service and dedication and for giving so much of yourself to the Knights of Columbus. Darrin Welchert has volunteered his services as the Council newsletter editor during the past year. His efforts to improve the professional appearance of the new full-color newsletter using Microsoft Office Publisher software are noteworthy. The variety and timeliness of newsletter content along with the success of making it accessible directly to council member Knights through the online webpage are commendable. This reformatted and web-based newsletter has significantly improved overall council communications and information flow and has certainly enhanced the image of the council within our district. Darrin frequently volunteers his time and talents for all council projects and events, regularly providing his talents and services as a member of the smoker wagon cooking crew during our various dinners. 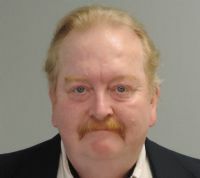 Len Archer performs the duties of Council Webmaster, Council Public Relations Director and Council Recorder. 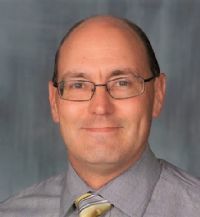 He established the initial U-Knight Interactive council website in this district providing enhanced information flow (both through email and print). He provides timely communications of all council activities to our local council, to the public and to other councils creating improved organizational performance and a better image for recruitment. He has produced an accurate collection and archive of all council meeting activities, documents and photos which are available on-line to all members on the council website. He is a loyal and reliable council member who is active in many council work and social activities. 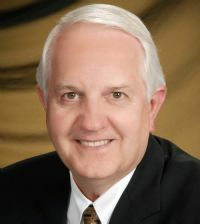 He recently authored the council’s Wing Ding Ministry competition rules, provided the event announcements for the parish, coordinated the celebrity judging process, developed the event schedule and communicated the final event results. He proposed and initiated the new council team Membership in Action plan aimed at increasing membership activity and involvement. He coordinates the council Knight and Family of the Month recognition program. Len is an active member of the 4th Degree St Joseph General Assembly #569, also serving as their webmaster, and is a frequent member of their Honor Guard team. He and his wife Jeanne are a Lead Couple within our parish for Engaged Couple Marriage Preparation and they are also Associate Members of the St Joseph Order of Malta. Ray is the Council Chancellor and the Service Director of Community. He helps to create and bring great ideas into practice within our Council. During December he chaired and organized the first SFX Parish Wing Ding Ministry Challenge event. He volunteers at all council projects & dinners. He is a Member of the Parish Ministry Board. Ray donates or discounts food for many Council dinners. He was a volunteer participant in the St Joseph Walk for Life event and serves as a Mass Lector and Eucharistic Minister for the Parish. He coordinates our Council Corporate Communion Masses aimed at better parish Public Relations and new member recruitment. He is a member of the 4th Degree General Assembly 569. 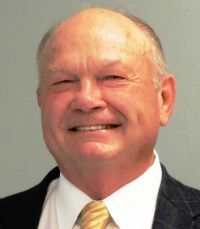 Joseph F. Still is serving as the present 2-Year Trustee for our Council. Frank is the Faith In Action Project Coordinator for our Council and is a member of the Faith In Action Advisory Board. He has successfully served multiple years during the month of November as the Council’s Chairperson of the Drive For Disabilities Project achieving higher collections each year. He volunteers his time and talents for all council projects and events and regularly donates his blood to our parish blood drive events. He regularly participates in the St Joseph annual Walk For Life event. He is a 4th Degree Knight and a member of the St Joseph General Assembly 569. Frank is one of four individuals from this parish who were recognized for the Mother Theresa Award by Catholic Charities of St Joseph during 2016. He is a long-time member of the Companions to the Precious Blood Priests who provide direct support and encouragement for our parish priests. 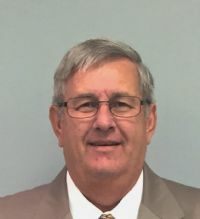 In the community he serves as an elections clerk for all state, county and city elections and he is an active member of the St Joseph Chamber of Commerce Diplomats Committee and the St Joseph Hosts Lions Club. 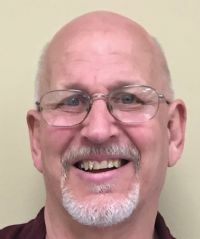 Dan Deatherage is the council’s Service Committee Culture of Life Chair and is actively involved with the St Joseph Pregnancy Resource Center. He helped to coordinate the four previous Walk for Life events in St. Joseph held each year in October which has resulted in significantly improved participation by other church denominations each year. He individually built the K of C Walk for Life parade float entry and was the designer/ builder of the council’s meat smoker and fryer trailer - making council dinner events go much smoother. He is active in many council work and social events (ie. Tootsie Roll drive, House of Bread, and Faith in Action). He serves parish masses both weekends and weekdays and has completed multiple annual mission trips to Guatemala in support of a children’s orphanage. Dan is involved in the efforts of the Parish Breakfast Club and is a Men of Faith participant. He is an active member of Assembly 569 where he serves in the officer position as Faithful Pilot and is a 4th Degree Honor Guard participant. Mike Violett is a PGK and currently the 1-Year Trustee and Service Committee Director of Health. He coordinates each SFX Parish Blood Drive for the Red Cross on a frequency of about every 8-10 weeks. The September event collected a record number of 32 units of blood and he himself is a member of the 10 gallon donor club. He is a regular community volunteer for Habitat for Humanity, Faith in Action and the St Joseph Youth Alliance performing 4-5 projects/year. 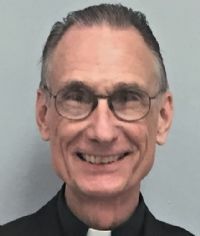 He regularly serves both weekend and weekday masses, trains parish youth to serve mass, sponsors server field trips, is a Eucharistic Minister, and makes personal visits to the sick & bereaved. He very recently completed adaptation of the Quick Books financial software package for use by our council treasurer greatly assisting our council budgeting process. 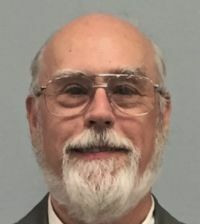 He actively supports and routinely contributes to the Knights of Columbus Missouri Special Olympics and the Food for Families programs and is an active member of St Joseph General Assembly 569 in the 4th Degree. He is a long time member of the SFX Sunrise Fellowship Breakfast committee and is a loyal and reliable worker supporting all of our council dinners and special events. John Catron has worked tirelessly and effectively for Council 15126 especially during the month of August by chairing the organization of the St Francis Xavier Parish 125th Anniversary Dinner. He directly enhanced our council’s reputation through his year-long efforts leading up to this event by serving on the overall parish anniversary steering committee. He coordinated our council planning committee for the purchase and preparation of all of the food menu requirements. He compiled and supervised the Knight worker schedules, coordinated the activities for dinner site set-up through the final clean-up. 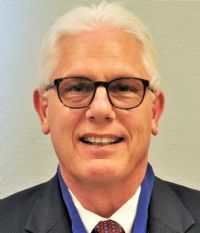 He currently serves as the Deputy Grand Knight and Council Program Director. He accomplished all this while personally experiencing and enduring some major medical and health issues. No other brother Knight is considered more deserving of Council 15126 Knight Of The Month for August 2016.